As we face our terrorist Wahabi enemy in this post-Cold War era, it becomes clear that we are now fighting World War IV. This new war, without a doubt, is a new kind of war. We can summarize its new aspects with one concrete example: the suicide bomber. He is eager to blow himself up in order to kill as many innocent people as possible from among Christians, Jews and, yes, other Muslims. Young men are usually inspired by their dreams of the future and of enjoying their lives, but the suicide bomber is motivated only by the thought of being a martyr and he is convinced that virgins are waiting for him in paradise to reward him for blowing himself up amongst “infidels”. The suicide bomber is a human bomb walking the streets ready to destroy other people, any time and any place. It is very difficult to recognize him and to predict where and when he will strike. With this new weapon -- the human bomb -- our terrorist Muslim enemy has neutralized the most horrifying weapon: the nuclear bomb. But it has neutralized it only in our hands of course. 1-The weapon is the suicide bomber. 2-The ammunition is the Muslim tradition and religion. 3-The factories of ammunitions are the mosques, the Islamic centers in the West and in the U.S, the Muslim system of educations and the Arabic web sites. 4-The battle field is the mentality of all Muslims. 5-The soldiers and the generals of war are fanatic extreme Muslim scholars and the Sheikhs. 6- The very nature of this war is 100% intellectual-ideological religious war. 7-Who will win this kind of war? The terrorists. 8-Why: Because the U.S is using its army in 90% of this war. 1-How can the U.S win this war and save thousands of lives and billions of money? By using the same tactic of the intellectual-ideological religious war. 2-How could the U.S use this tactic? The weapon [suicide bomber] must be convinced that if he kills innocent people or himself he will be the enemy of Islam. The ammunitions [Muslim tradition and religion] must be used against the terrorist themselves. The factories of ammunitions: [Mosques, Islamic centers in the West and the U. S and the educational system in Muslim World] are under the control of U.S. allies. These factories of ammunitions in the Muslim World must be reformed in the name of Islam by the pressure of the U.S, and the U.N. -- along with real political reform. The mosques and the so-called Islamic schools in the U.S must be reformed, and the Arabic fanatic web sites must be faced. Individuals such as myself are willing to do this if we receive American support. The battle field of this war will be the mentality of all Muslims. The soldiers and the generals of this war against terrorists are people like me who are free Muslim scholars and sheikhs. We are willing to fight but need the support of the U.S. The very nature of this war against terrorists: A large percentage of it can be – and must be -- intellectual war. Who will win this kind of war? The U.S. will win it. Because the fanatic terrorist Muslims have their power by using the name of Islam. We must explain from within Islam the contradiction between Islam and the bloody culture of the terrorists. It is not hard to have the silent Muslim majority on our side if we can reach them. It is not hard also to convince some of the fanatics by using the fanatic tradition against them. Also, it is very easy to recruit the open-minded Muslims and organize them in this peaceful war against terrorism. Actually, they are eager to be organized and supported by the U.S to get their freedom and to get rid of the terrorist danger. Dr. Ahmed Subhy Mansour, is a distinguished scholar of Islam with expertise in Islamic history, culture, theology and politics. 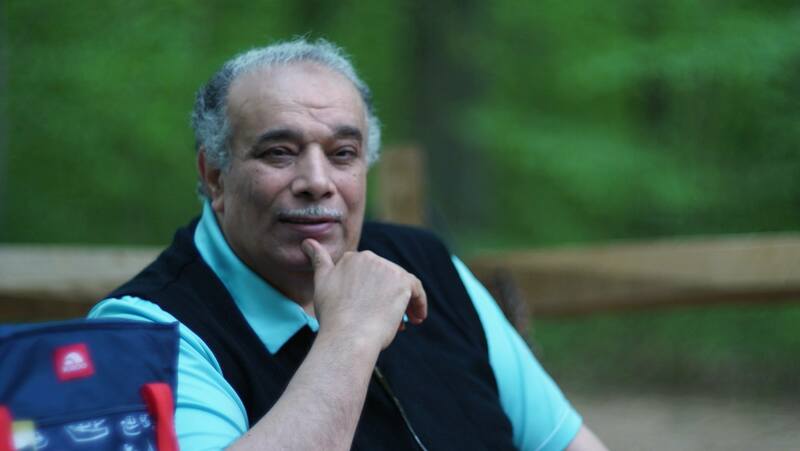 An Egyptian national now living in the U.S., he was an advocate for democracy and human rights in Egypt for many years, during which time he himself was isolated and persecuted by religious extremists and by the regime. what you mentioned in your article is true but the root of this walking bomb is the bloody politics of the US right wing extremists .They persecuted muslims every where and invaded their lands ,confiscated their rights to acquire technology but encourged the Zionist to do so .All arab and some nonarab muslim countries are still under occupation and none of them is really a free country .All arab rulers are puppets brought and supported by the american and british infleunces .None of them is able to say a righful word. I think it is the aggression of the US administration that encourged this new form of suicide. The reality is that since the death of President Kenedy uptill now none of the so called elected US presidents was and is not supporting the Zionist ,otherise they will not come to power and if they refuse to obey they will be eliminated as was Kennedy . Since 1864 ( the end of the civil war in the US ) the americans had fought 70 wars .all of them outside their lands !!! that is the definition of the aggressor . Their motivation is built on creating enemies to survive as their empire would collapse if there is no war .They can not survive without war . If they would leave muslim countries tomorrow I am sure there will be no more suicide bombers and the reality is that no one is really willing to die as life is precious to all creatures even insects .I would strongly advise all readers to go and read the (Rogue State ) written by William Blum and also the writings of Naom Chomesky.These people and their alike have tackled this issue quite thoughtfully and were absolutely not biased in their judgement.Having said that I am certainly not supporting the indiscriminate killing of innocent people . ( he who kills one soul without justice would be as if he had killed all people- Quran ).